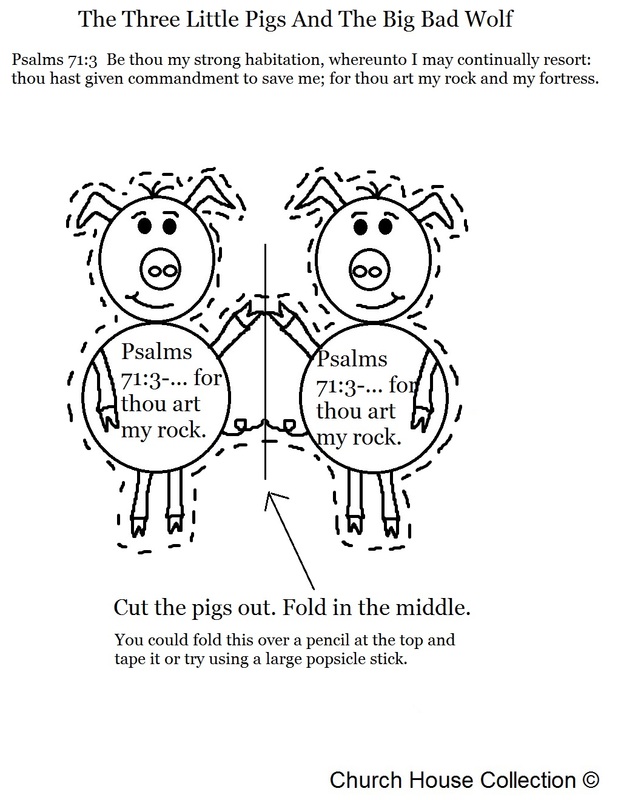 Use this with our lesson on "The Three Little Pigs And The Big Bad Wolf"
Just have the child cut on the dotted lines and cut the pig card out. Have them fold on the straight line. 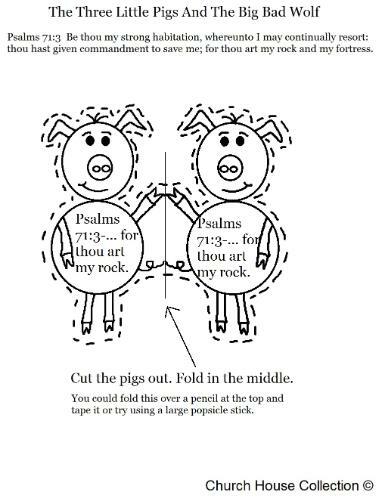 You could let the child draw a small picture of a brick house on the inside of the card on the right side and a small piggy on the other side that represents themself being the third pig that build his house in bricks (rock). This card craft goes with our lesson on building our house solid and upon the rock (Jesus) so that when the storms of life or the devil comes against them they will be able to stand. The wolf represents the enemy coming against the children of God. We can stand against the enemy if we build our house upon the Lord. Resist the devil and he will flee from you the word says. Use our coloring page, maze or our snack to go along with this.